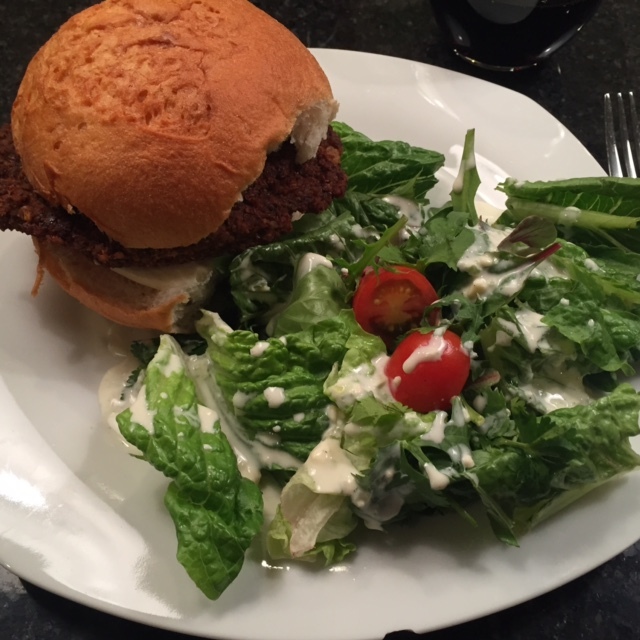 This recipe turned my carnivorous husband into a veggie burger fan. The aroma of the southwest seasonings as these burgers cook fills the house with a spicy and enticing scent that makes you forget your subbing beef for quinoa and black beans. If you haven't tried a veggie burger or your past experience tells you they're dry and flavorless you have to give them just one more try for this recipe. Combine the cooked quinoa, black beans and rolled oats in a food processor. In a separate bowl, mix the remaining ingredients together then add the southwest paste to the food processor. Blend until well combined stopping as needed to scrape down the sides. Warm a skilet or grill pan drizzled with 1 tablespoon of olive oil or coconut oil over medium heat. 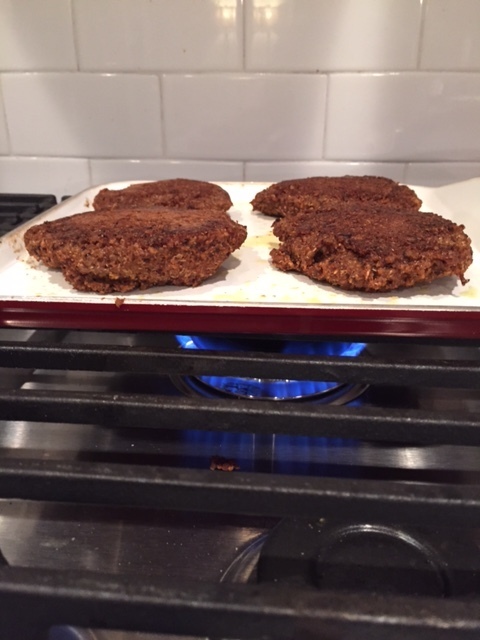 Wet your hands and press bean mixture into bun size burger patties. Place thom on the hot pan and cook until they acquire a crispy crust. This won't take long. About 5 minutes on each side. Remove from heat and transfer to bun or lettuce wrap. We used Udi's Gluten Free buns, but these are also delicious wrapped in crunchy romaine leaves or steamed swiss chard sprinkled with garlic powder, sea salt and pepper. Add your favorite toppings and serve with a small side salad. *This post, like all my posts, may contain affiliate links. Thank you for supporting our effort to provide free content to everyone looking to lead their healthiest life.